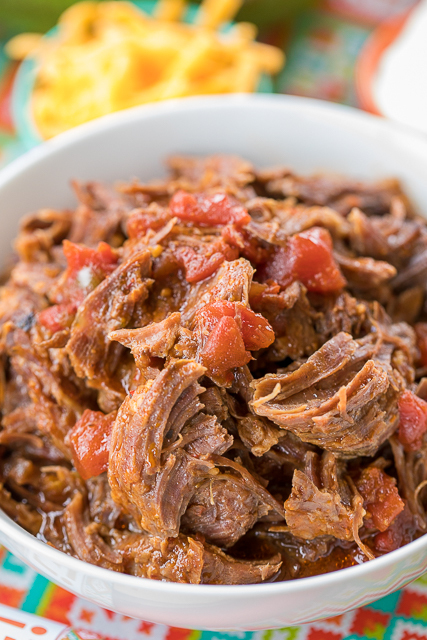 Slow Cooker Taco Pot Roast - use for shredded beef tacos and burrito bowls. Pot roast, au jus mix, taco seasoning, tomato juice and diced tomatoes and green chiles. 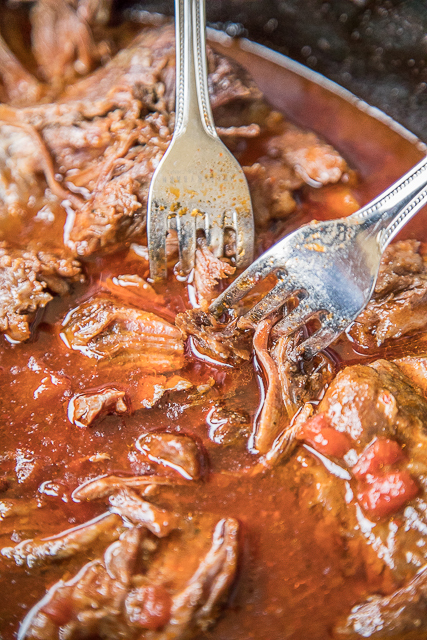 This Slow Cooker Taco Pot Roast is CRAZY good!!! We have made this several times over the past few months and just love it. This Taco Pot Roast can be shredded and served over some Mexican rice and beans for a burrito bowl or stuffed into some tortillas as tacos. Either way, it is delicious!!! 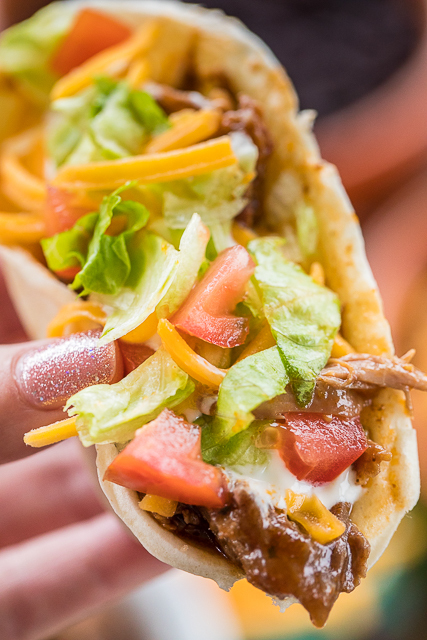 This Slow Cooker Taco Pot Roast makes a great freezer meal. Just dump everything into a gallon freezer bag and throw it in the freezer. Just dump everything into the slow cooker when you are ready. You can let it defrost some in the refrigerator overnight or just dump it all in frozen. If you dump it all in frozen, you might need to add an extra hour or so to the cooking time. PERFECT for days when you are working! 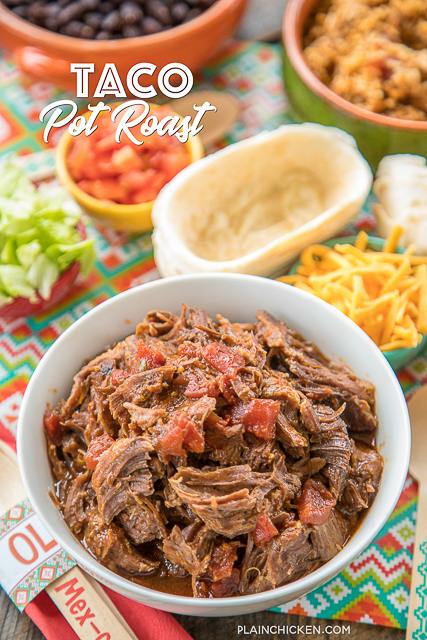 If you aren't into burrito bowls or tacos, this Taco Pot Roast also tastes great served over mashed potatoes or cheesy grits. Don't forget to pour some of the slow cooker juices on top of the roast. YUM!! Place pot roast in slow cooker. Whisk together remaining ingredients and pour over pot roast. Cover and cook on LOW for 8-12 hours or on HIGH for about 4-1/2 hours.